starting and ending in the same place. No discounted bike rentals are currently available, check back later for more deals and offers or why not consider a one-way relocation offer instead? 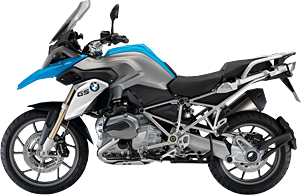 A wide range of one-way motorbike relocation special offers are available in addition to these discounted motorcycles. Click here to view the current range of one-way specials and relocation offers. Not only do these motorcycles represent fantastic value but they're also a great way to experience a self-guided motorbike tour at reduced costs. Self-guided motorcycle tours generally include the motorcycle, accommodation in great quality bed and breakfast, hotels or motel-type establishments and a highly detailed itinerary document with digital map-links. You can see a sample itinerary page by clicking here. If there is a motorcycle special offer which interests you, simply let us know using the form below. Fields marked with the symbol above, must be completed before your enquiry can be processed.